From quite some time now, polished concrete floors have become undoubtedly the most popular and widely spread-flooring option used for residential, commercial and industrial spaces. 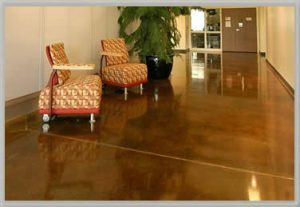 The growing popularity of stained and polished concrete floors is mainly attributed to the lots of benefits polished concrete floors offer. Polished concrete floors have by far the best protection against any kinds of stains and marks. Stained and polished concrete floors don’t require hazardous chemicals used in the installation and maintenance. It permits no mold, mildew or allergens to accumulate on the surface. Contact Metric Concrete Construction & Design to learn more about the most professional polished concrete flooring solutions. From quite some time now, polished concrete floors have become undoubtedly the most popular and widely spread flooring option used for residential, commercial and industrial spaces. Today, as the need arises, more and more contractors spring up on the global marketplace claiming to offer high-quality polished concrete flooring solutions at an economical price. The growing popularity of polished concrete floors is mainly attributed to the lots of benefits polished concrete floors offer. If you are thinking which flooring option to go for, you should definitely give some thought to polished concrete floors. And here are 10 reasons why polished concrete floors are better than other flooring options available today. Unlike some other flooring options such as hardwood or ceramic tile, you could use polished concrete floors pretty much everywhere from residential to commercial and industrial spaces. More than that, they are highly recommended by professionals who know everything about flooring systems and the environments they work best in. Polished concrete floors have a higher durability and sustainability than any other flooring option such as linoleum, vinyl flooring or ceramic tile. Polished concrete floors can usually last up to 10 years with minimum maintenance and breakage by impact. Polished concrete floors don’t require hazardous chemicals used in the installation and maintenance. It permits no mold, mildew or allergens to accumulate on the surface. Besides, they are energy efficient. The heat accumulated from the rays of sun or light can greatly reduce energy consumption and lower the bills. Not to mention that polished concrete floors improve indoor air. Unlike other flooring options such as hardwood, vinyl flooring or laminate, polished concrete flooring is the most affordable option. The cost per square meter will differ based on the total area as well as the customer’s wishes. If the property already has a slab concrete but only requires polishing to be done, the costs will be minimal. Undoubtedly, polished concrete floors are nr 1 flooring options to choose if you want to provide the interior of the property with a pleasant visual appearance. The smooth, high-gloss look of the floor will provide the building with finesse and sophistication. Not to mention that the glossy flooring that resembles a polished stone reflects the light in a very appealing manner. Nowadays, it is one of the top choices for such institutions as hotels, theaters, museums as well as high-class residences. Polished concrete floors are one of the easiest flooring options to maintain. Sweeping and mopping, occasionally damp mopping, are the only cleaning activities you will want to engage in so as to preserve the high gloss and prevent the accumulation of dirt on the flooring surface. If the floors are proficiently installed and polished, you won’t need to worry about re-polishing the surface too soon. Ten years is a guarantee that your floors will look great with minimum care! Polished concrete floors have by far the best protection against any kinds of stains and marks. That is why it is great for commercial and residential applications, more and more facilities and warehouses opting for polished concrete flooring instead of other types of flooring options. One particularly great advantage is that it leaves no tire marks or scratches at all. If you choose polished concrete floors for your residence or commercial space, be ready to have a very good lighting inside. The smooth and shiny surface will absorb the light and illuminate the rooms by 30 %. Since no chemicals are used in the installation and polishing of the concrete floors, there will be no problem putting into service the already polished areas. Especially when it comes to such institutions as hospitals, hypermarkets or production plants where safety is of huge importance, polished concrete floor areas could be immediately used without any worries.